As much as we may want to deny it here at Keith Michaels winter really is just around the corner. With it comes adverse driving conditions such as wet and icy roads. Although tyre safety is of absolute paramount all year round, it’s during these times that even a slight lapse in tyre maintenance can have devastating results. The fact that 55% of drivers, surveyed by Michelin last year, had at least one tyre below the legal tread limit is extremely concerning. We feel that now is the time to ensure your vehicles tyres are in proper working order before the sun disappears for a few months! Read on to find out why tyres blow, how you can prevent it and also what to do if one of yours does fail. There are a few fairly common reasons for tyre failure. One of the most likely and also devastating reasons for tyre failure is under or over inflation. Under or over inflation of tyres can have a multitude of effects. Although many of these are minimal such as reduced driving comfort or tyre life a few are more serious. Over inflation of tyres can lead to a reduction in road grip, something that can be extremely dangerous, especially on wet or icy roads. It can also result in irregular tyre wear. Under inflation of your tyres poses even more of a threat. This is because it can lead to tyre casing flexing which can result in an increase in rolling distance (which can mean a reduction in fuel economy) and overheating. It can also lead to premature wear and the most dangerous of issues, catastrophic tyre failure. Catastrophic tyre failure is most common at high speed; this makes it an even more frightful prospect. As you can imagine when a vehicle travels quickly it creates a faster and more substantial build up of heat in its tyres. This heat exaggerates existing issues such as slight tyre damage or under inflation and causes sudden tyre pressure failure and destruction. When travelling quickly on the motorway this can be incredibly scary and possibly fatal. Sudden tyre failure can also occur due to vehicle overloading. Exceeding your tyre load index can lead to a build up of excessive heat which, as we’ve already stated, can cause sudden tyre failure. Information published by the Telegraph states that 1.5% of all car crashes in the UK were caused by tyre failure. There are two important takeaways from this. One is the fact that, with 1,901 deaths occurring on British roads in 2011, 1.5% of crashes could amount to 28 lives lost! Two is the fact that there are now more cars on the road than ever before, combine that with the results of Michelin’s study and the number of tyre failure related deaths have most likely increased. So how long does a tyre last for? Current average tyre life statistics put the number at 30,000 miles. However, research by etyres has found that drivers are losing around 9 months of tyre use, or 20.7% of wear life per tyre. This is down to a combination of tyre failure contributors and premature changing of tyres. A simple bit of maths carried out at Keith Michaels HQ tells us your tires may only last 23,790 miles. Thankfully there are a few simple checks you can carry out regularly to minimise your chances of tyre failure. Inspect your tyres for any issues – Ideally you would do this every time before you begin a journey. Look for any nails or pieces of glass that may have penetrated the tyre. If there are stones lodged in the tread remove them. Also pay attention to any irregularities such as lumps, cuts or bulges in the rubber. Check your tyre pressures at least once a month and before long journeys – Most petrol stations have a machine available to do this. If you are unsure of the correct tyre pressures for your vehicle check the manufacturers hand book. To get an accurate reading be sure to check your tyre pressure when they are cold i.e. at the beginning of a journey. So what can you do to try and bring your vehicle to a slow and controlled stop if your tyre does blow? Do NOT slam your foot on the brakes! Although this may be your natural reaction it will make things a lot worse. In most cases heavy braking will lead to your car pivoting on its blown out wheel and spinning out resulting in you losing control of your vehicle. If your front tyre blows the car will pull violently in the direction of the blown out tyre. To counter this steer hard in the opposite direction. This will help you regain control. If there is space ahead allow your car to slow down of its own accord. If there isn’t space for this to happen you can apply the brakes very lightly to try and slow down quicker. However, your main focus should be on keeping control of the steering wheel and allowing the vehicle to reduce its speed naturally. If your rear tyre blows out your car will start to weave. To counter this you should accelerate slightly, this will allow you to regain control. You should then keep a firm hold on the steering wheel and allow the vehicle to reduce its speed naturally. 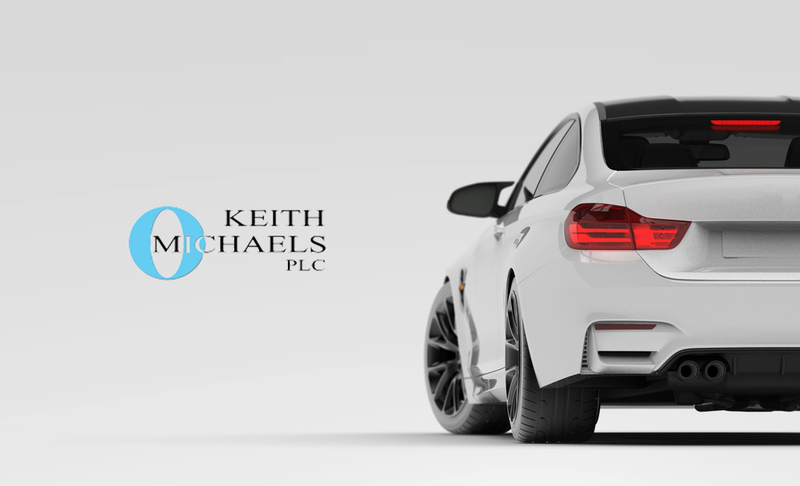 Here at Keith Michaels we want to make sure you’re safe while on the road. We encourage you to check the condition of your tyres regularly. For many of you this is a no brainer, for those that it isn’t, is it worth the risk? One way in which we encourage road safety is through rewarding safe drivers with low insurance premiums. Give us a call on 0800 542 2141 or visit this link to get a quote today.